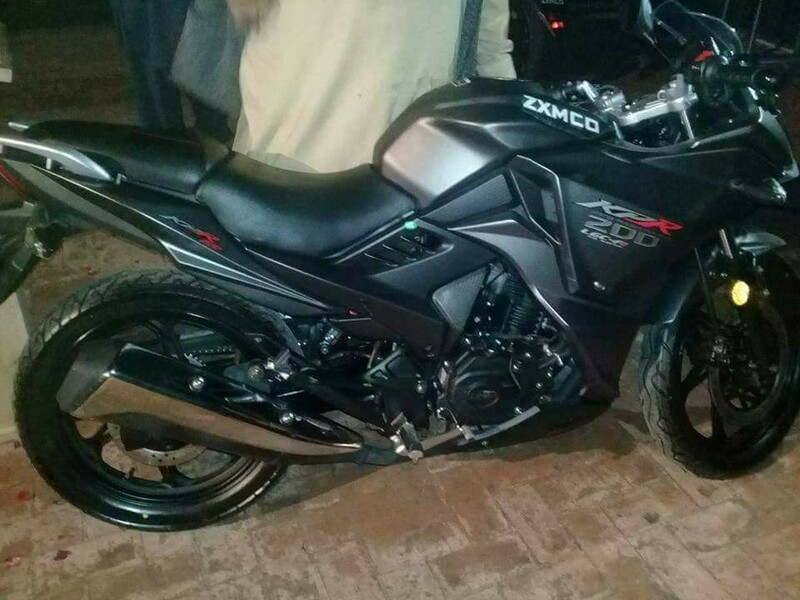 Up to 150cc bikes are now common to launch in Pakistan. ZXMCO is the partner of Lifan in Pakistan. Launched this great first heavy bike 200cc named as Cruise in the Pakistani market. It is the best option in the 200cc motorbikes market with a reasonable price range. Read Zxmco other products and review of the cruise. ZXMCO, an emerging leader in the automobile industry in Pakistan, was incorporated on August 10, 2004. After the completion of state-of-the-art production facility ZXMCO delivered its first valued product in May 2005. ZXMCO has launched a new Chinese make ZXMCO 70 city rider. ZXMCO city rider bike is a model which is attracting maximum customers due to its shape, mileage, and other specs. It gives tough competition to existing companies as its price range is on an average scale and those who can’t afford higher prices can buy this bike. As far as engine and suspension are concerned, the bike has the same features as of RAVI, Eagle, Road prince etc. ZXMCO 70 city rider has four solid gears that can speed up-to 90km per hour. ZXMCO ZX 70 city rider has a front disk brake and a self-start mechanism which is not available in any other 70cc motorcycle. A conventionally masked crystal headlight light, rear brakes, and indicators of ZXMCO ZX 70 city rider enhance the stylish look of the bike. ZXMCO ZX 100cc Shahsawar is the quality product of ZXMCO and is launched in order to establish strong relationship with its clients. It is very reasonable in price and is available only for Rs 55,000. Its classical design, color, and comfortable seats are the strong features of this bike. ZX 100cc Shahsawar has dashing engine voice and smooth clutch. 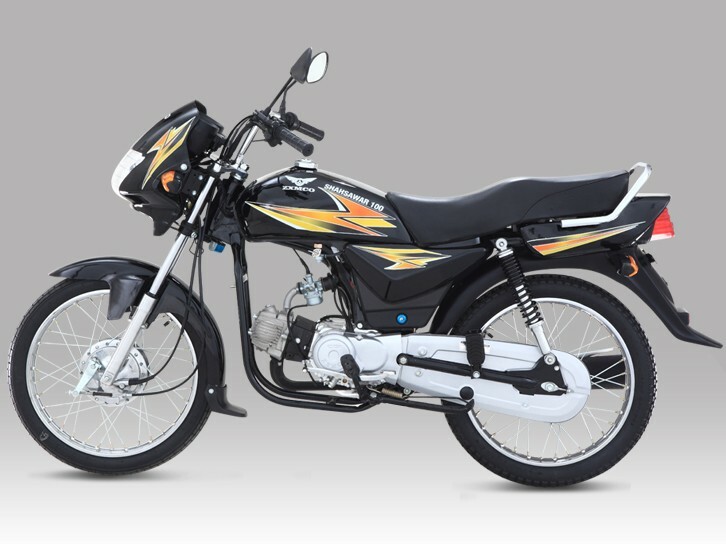 ZXMCO ZX 100cc Shahsawar has strong wheels which has strong grip on roads. Further, this bike has 4 stroke single cylinder and its front and back light are bright and modish in shape. Fuel tank of ZX 100cc Shahsawar is of 9.5 liters while its overall weight is 82kg. This makes ZXMCO ZX 100 Shahsawar the best choice for individuals with extensive bike use. ZXMCO offers ZX 125CC bike with 4 stroke OHV natural air cooled engine. Maximum power is 7.0 Ps @ 8500 rpm. Both, front and rear, suspensions are hydraulic with enhanced dumping force. 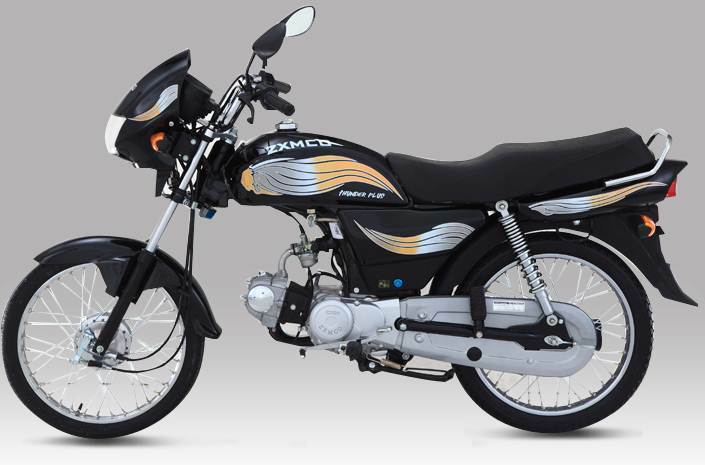 ZXMCO 125cc has elegant look, extra power and super fuel efficiency attracts the customers. Stylish graphics also enhances its beauty and asks the customers to have a new experience with it. 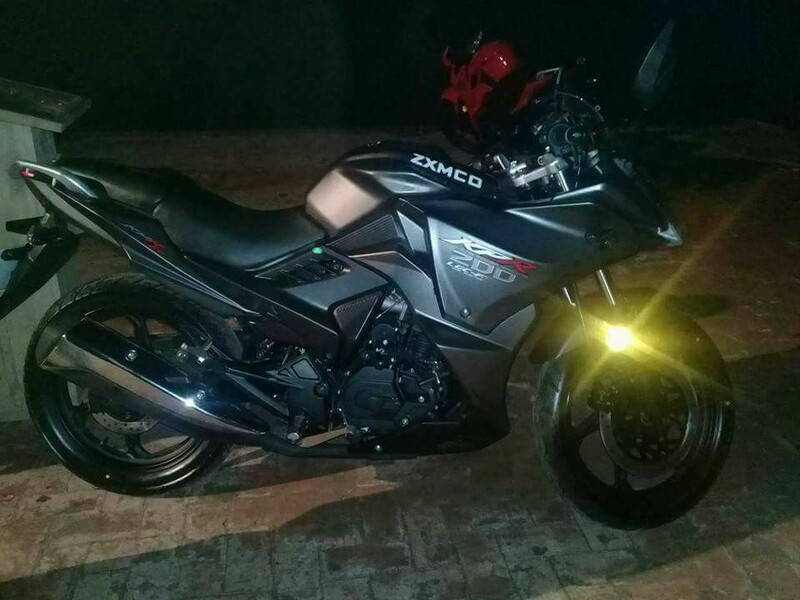 ZXMCO 125 stallion has the fuel capacity is of 11.0 liters with 2 liters reserve useable. This bike is very much affordable with the price of Rs 60,000. There is a golden opportunity for those who can’t afford 125 cc bikes with high prices. It’s the best choice for beginners especially students to buy ZXMCO ZX 125 stallion to enjoy the utmost thrill of a 125cc engine. 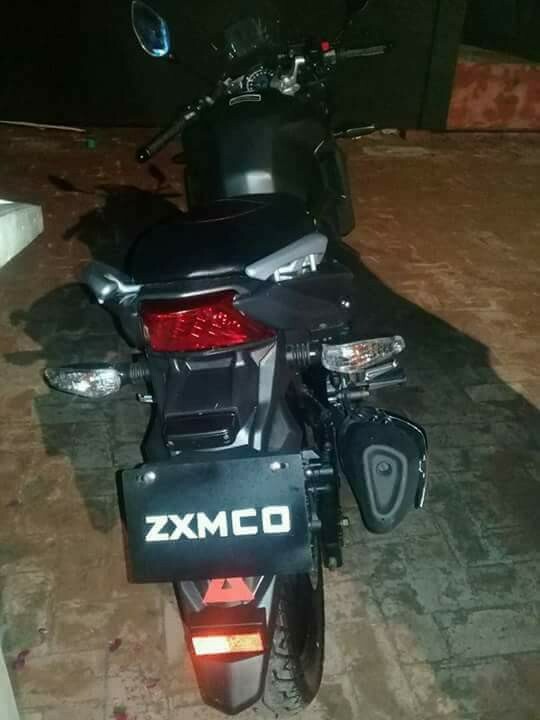 ZXMCO Motorcycle, a famous brand, has been in business over a decade and is committed to providing durable, economical and comfortable bikes for transportation to our valued customers.Our story begins since August 2004, where we started motorcycle assembly by establishing the state-of-the-art production facility in Lahore. In the short span of time, we developed a large network of Sales, After Sales Service and Spare Parts dealers throughout the country. We also started manufacturing of motorcycle’s parts through our customer’s persistence owing the company committed to providing a high-quality product at competitive pricing.Our proven expertise, together with our focus on innovation and R&D enables us to cater many different customers’ needs and respond to the varying consumer preferences throughout the world. In the year 2008, ZXMCO got LCCI Achievement Award (Best Motorcycle) from Prime Minister of Islamic Republic of Pakistan during a ceremony arranged by Lahore Chamber of Commerce & Industry.In the year 2009, ZXMCO got LCCI Achievement Award (Best Motorcycle) for the second time from Prime Minister of Islamic Republic of Pakistan.In the year 2010, ZXMCO got LCCI Achievement Award (Best Motorcycle) for the third time from Prime Minister of Islamic Republic of Pakistan. In the year 2011, ZXMCO consecutively got LCCI Achievement Award (Best Motorcycle) for the fourth time from Prime Minister of Islamic Republic of Pakistan.In the year 2012, Asif Khan (Executive Director ZXMCO Motorcycles) got Business Man Of The Year Gold Medal from The President of Islamic Republic of Pakistan.In the year 2012, ZXMCO got 5 Years of Excellence Award from Prime Minister of Islamic Republic of Pakistan.And in the year 2014, ZXMCO got SAARC International Business Award from Governor Punjab. Very Famous brand in Pakistan.